What is the STAT Program? Why receive a STAT visit? Is our injury and violence prevention program (IVPP) ready for a STAT visit? How can our IVPP apply for a STAT visit? How can I serve on a STAT? Launched in 2000, STAT is designed to assess and improve injury and violence prevention efforts within state health agencies, focusing on specific roles, relationships, and the performance of the designated injury and violence prevention (IVP) program. The goal of the State Technical Assessment Team (STAT) program is to help state injury and violence prevention programs (IVPPs) better understand and improve their organizational efforts across three core areas: infrastructure, data and surveillance, and policy and program strategies. For each core component, Safe States Alliance has developed standards and indicators that describe the conditions that should exist within an ideal, comprehensive state health department injury and violence prevention program. The STAT Program involves an on-site, point-in-time assessment of the IVP program, which results in recommendations for improvement and technical assistance that is provided to the IVPP for a year following the visit. By hosting a STAT visit, IVPPs can better understand their assets and identify ways in which they can focus their efforts to strengthen their IVP efforts throughout the state. Support from state health official: A senior department official (with oversight above the IVPP) must agree to and support the IVPP's participation in STAT. Staff time to prepare: IVPPs need to have staff available to prepare for and participate in STAT activities, including preparing for the STAT visit and participating in the post-visit technical assistance activities. Key events to consider working around include legislative sessions, budget deadlines, planned reorganizations, and grant writing deadlines. Familiarity with the STAT process: If you're interested in hosting a STAT visit, we recommend participating in the process first by serving as a team member of STAT visit. Readiness to implement STAT recommendations: IVPPs should be ready and prepared to implement STAT recommendations that are aligned with their short and long-term goals. 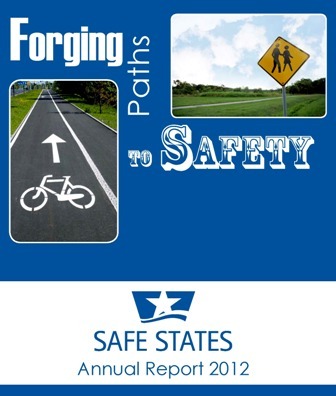 The Safe States Alliance announces a call for STAT applications each year, pending receipt of funding. Applications are reviewed by a committee that selects the states that will receive a STAT visit during the year. Only states that are current in their Safe States Alliance membership dues are eligible to receive a STAT visit. Learn more about how to apply for STAT visit. Each STAT typically consists of six members: a team leader, four team members, and a logistics coordinator. One team member will also serve as the deputy team leader. Team members are selected based on several factors, including expertise in core component areas, prior STAT experience, communication skills, and availability. Learn how to apply as a STAT team member. The STAT Program is funded by direct and in-kind support from the Centers for Disease Control and Prevention’s National Center for Injury Prevention and Control (NCIPC) and U.S. state health departments.